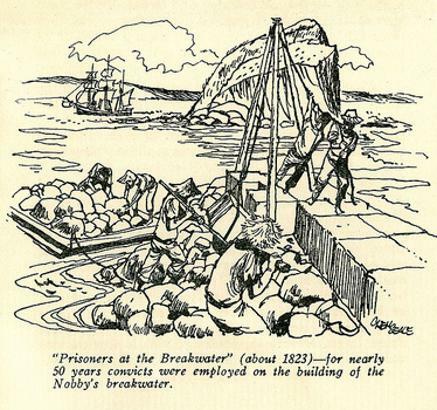 Started in 1813 by convict laborers, the breakwater links Nobby's to the mainland, and was built to make the harbour safer for ships. Finished in 1857, it took over 45 years to complete, and was partially destroyed several times by storms and ships. More breakwaters were built at later dates to provide a safe corridor for ships. 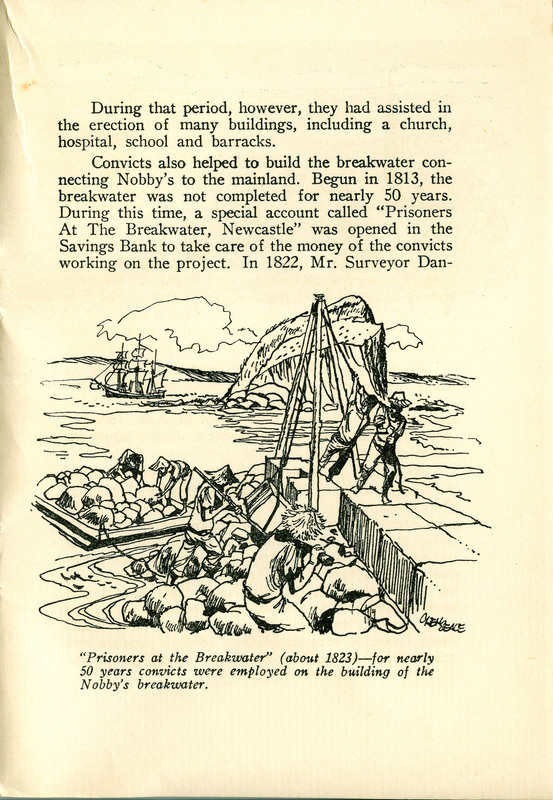 Excerpt from 100 years: savings bank in Newcastle, Commonwealth Savings Bank : Scotow Press Pty Ltd, Newtown, 1958. UoN collection.